Recently, emerging market firms have gained market shares both in emerging and developed markets through pursuing reverse innovation – i.e., good-enough, frugal products developed in emerging markets that are taken to the markets of developed countries. Their success endangers the global market share of Western multinational corporations (MNC) as they have traditionally focused only on advanced products for the affluent few at the top of the economic pyramid. So far, extant literature has been limited to the description of anecdotal examples, ignoring the question of how Western MNCs enable reverse innovation in order to stay competitive. 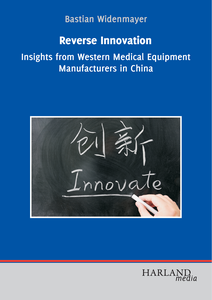 In this book, Bastian Widenmayer investigates how Western MNCs successfully facilitate reverse innovation. 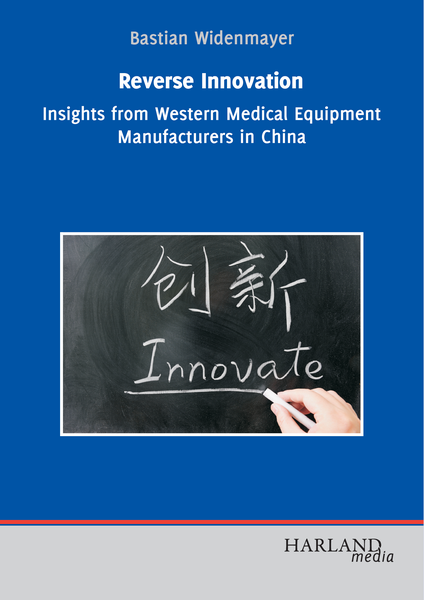 Based on four case studies of Western medical equipment manufacturers, he develops a management concept of reverse innovation and expands existing theory. This book is addressed to researchers and managers who wish to gain more insight on how to implement reverse innovation.